Since Darth Vader is basically the epitome of evil, it's understandable why his signature spooky attire is often mimicked on the one night where mischief and villainy are (somewhat) celebrated. It's no surprise why so many love dressing in the infamous Sith Lord's usual ensemble of a long black cape and clunky mask because it truly radiates the "I'm up to no good," vibe. Of course, you also don't want a costume that's anticipated to be worn by so many. (Totally understandable, by the way.) 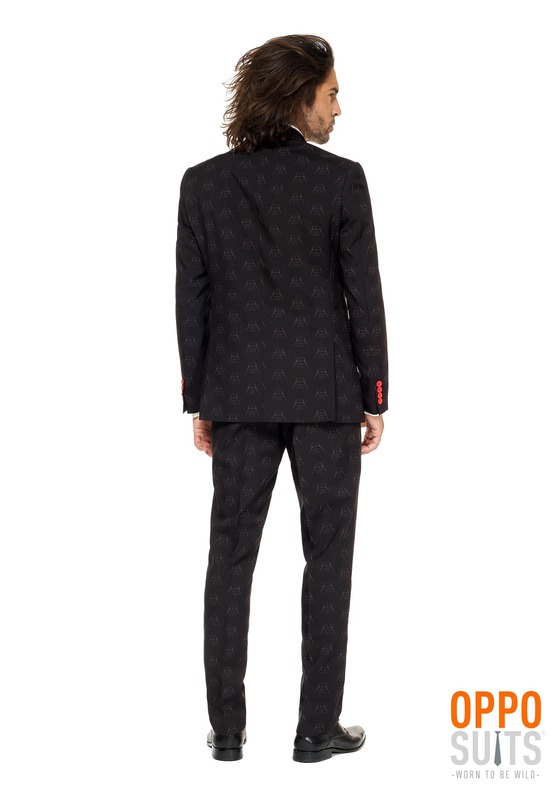 This is why the men's Darth Vader OppoSuit is exactly the ensemble for a dapper gentleman such as yourself. Not only will you be wearing an all-black suit properly imitating Vader's iconic look, but your costume is going to be different than the other wannabe-Vaders populating the Halloween party. 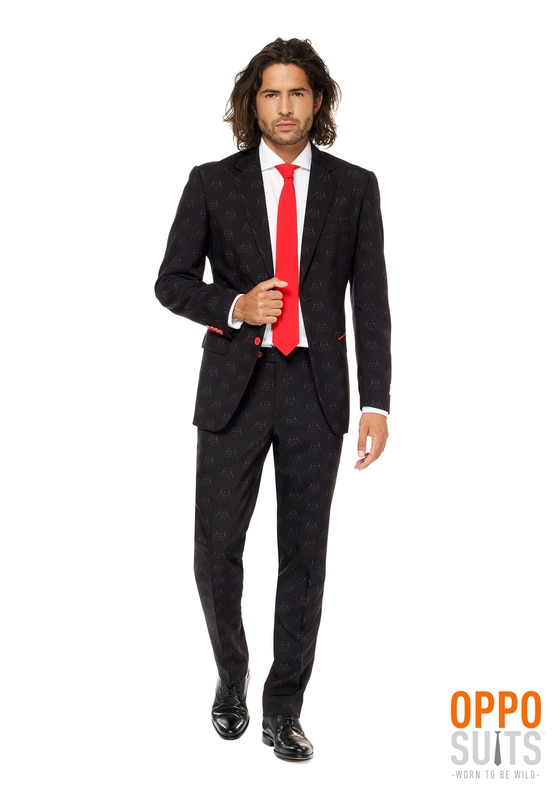 You'll emit an impish Sith Lord aura while simultaneously looking like a classy costumed bloke when you're wearing this printed suit. Featuring a muted all-over Darth Vader print two-button jacket with faux pocket flaps, the matching button-and-hook-closure pants round out the dashing "costume" while the included red tie completes the look and adds a pop of color to the otherwise harsh OppoSuit. Appropriate to wear as a unique take on Darth Vader's appearance, this OppoSuit is also perfect to wear to social gatherings and even fancy events. Who said evil can't also be charming? Now you can show the disbelievers that achieving both is possible and it can be done by wearing one extraordinary suit.